Today the Spring Fling Blog Hop commences and the fun ensues. Join me in celebration of LOVE and SPRING! Is there anything more Spring-like than seeing daffodils pushing up through cold, often wet ground to reach the sun? Here in northern Arkansas, the daffodils are up and beginning to bloom. The birds are returning. I see and hear more of them every day. And those noisy little frogs, the Spring Peepers, are in full song every evening. Soon the Phoebe’s will return to their nest, court and preen and do what birds do in Spring. Yes, even the birds know that Spring is the best time for love. Just as the earth comes alive again, so do our hearts, if we let them. And that’s the catch, isn’t it? To risk getting hurt again, to trust someone with our heart? Rosie waited for the door to close behind her. When it clicked shut, her composure dissolved. She touched trembling fingertips to her lips and squeezed her eyes shut, reliving the moment Sam had deepened the kiss. The flash of heat had surprised her and had nothing to do with mere friendship. She’d thought needing an infusion of cash into her business was a big deal. But this was huge. All their talk of marriage and wedding plans, hand-holding and kissing had resurrected hopes and dreams she’d thought destroyed. Dead. From his ever present humor, he obviously hadn’t experienced the same level of attraction to her, if any. Sam had made it clear this was a temporary, strictly business agreement. He didn’t want anything from her except a wifely performance good enough to fool a judge. How could she possibly keep her attraction hidden for a whole year? After a night of troubled sleep, the best solution Rosie could think of was avoidance. Whenever she and Sam weren’t in the public eye, she’d simply avoid him. She’d figure out a way to make it work. After all, he had his work and she had hers. They needn’t spend every waking hour together. As she backed the van from her garage, a masculine voice called “Hey, Rosie!” She braked and looked for its source. Sam approached her vehicle. He was dressed for a run, in shorts and a tank that had seen better days. Lorelei rode along in front of him, buckled into a three-wheeled stroller. Rosie lowered her window, deciding designers wasted their time with the business casual look. Rugged tatters were infinitely more appealing. Rosie tried hard not to let her gaze stray from his face. She would not stare at the sprinkling of chest hair peeking over his tank. Glance, maybe—to commit to memory—but no staring. Concentrating on his face didn’t help either. One look in those serious eyes rimmed with long dark lashes and her lower abdomen ached in the best way possible. “We need to be seen together a lot,” he reminded her. Right. Except then she couldn’t avoid him. “All right. See you later.” Sam leaned in the window and gave her cheek a quick kiss. “There’s an elderly couple walking this way. Couldn’t pass up the opportunity,” he whispered with a wink before retreating. Rosie stared at the spot where his face had disappeared, her cheek hot where his lips had brushed skin. She inhaled his lingering scent before checking her rearview mirror and accelerating. Nothing happened. She blinked twice while staring at the gearshift before realizing she’d shifted the van into park. Sheesh! The man should be arrested for looking so . . . distracting this early in the morning. Here she was getting more gaga over his fine, testosterone-filled self by the minute, and he was merely concerned with getting the show on the road. Why couldn’t she look at their agreement the same way? Until she’d sequestered herself in the dark confines of her bedroom last night, she hadn’t realized how much the thought of a quick civil ceremony bothered her. Fake marriage or not, a hundred guests or two witnesses, she’d always seen herself in a long, white dress and veil at her wedding. And she was getting married—sort of. She gripped the steering wheel, rested her forehead on her hands and sighed. It was silly to feel cheated. But this wedding might be her only personal experience with one. The fallout from her relationship with Dean had left her feeling like she was . . . less. Damaged goods. Not quite whole. Until Sam’s odd proposal, she’d kept buried what few romantic notions remained. Stop it, Rosie scolded herself. She’d made her decision and she’d stick with it. Sam needed her. Lorelei needed her. It would have to be enough. She could still avoid Sam whenever possible. She might be stuck parading around town with him this morning, but the rest of the day would be hers alone. One $25 Gift Certificate to Blushing Books–Donated by Patty Devlin! For the Grand Prize Giveaway, readers only need to fill out the Rafflecopter box and press enter! (One entry per person!) Winners will be chosen on Monday, March 24 using Random.org. Click on this link: a Rafflecopter giveaway to enter the Grand Prize Giveaway. Winners of my prizes will be drawn on March 24th from commenters on this blog. and announced on this blog by March 25th. Good luck! This entry was posted in Books, Carol Burnside, Contests, Everyday blather, Free Stuff, Good Wishes, Promo and tagged authors, Blog hop, fun, giveaway, new books, new release, prizes, Promo, Rafflecopter, readers, romance, Romance Authors, Romance Books, Romance Genre, Romance Readers, Spring Fling Blog Hop. Bookmark the permalink. I checked out your sight great books!! 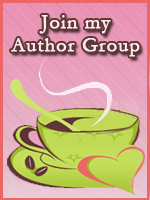 Thank you for joining the hop I love finding new authors I have not read! Happy spring! Love the excerpt. Is it bad that because I don’t know more about the characters, I just picture it as me and Nicholle Tom as my leading lady? Not bad at all. It’s a compliment if your reader identifies with the characters. Mission accomplished, then! And I might pick Laura Linney instead. I follow you on FB and twitter! Great excerpt – it really grabs the attention! I can’t wait to read the rest! Sorry about the new snow. When we lived in the Denver area, we knew Spring meant slushy snow vs. dry snow. LOL! It sounds lovely. I’m a poor sucker for small-town romance, and the marriage of convenience and pretend lovers tropes are two of my absolute favourites. Thank you for the peek, and for the reading chance. ❤ There goes another series to my TBR list. They’re favs of mine too, Kanoko. Thanks for your interest. Happy Spring! Thanks for the giveaway! Happy Spring! My favorite spring time activity is reading on my front porch. 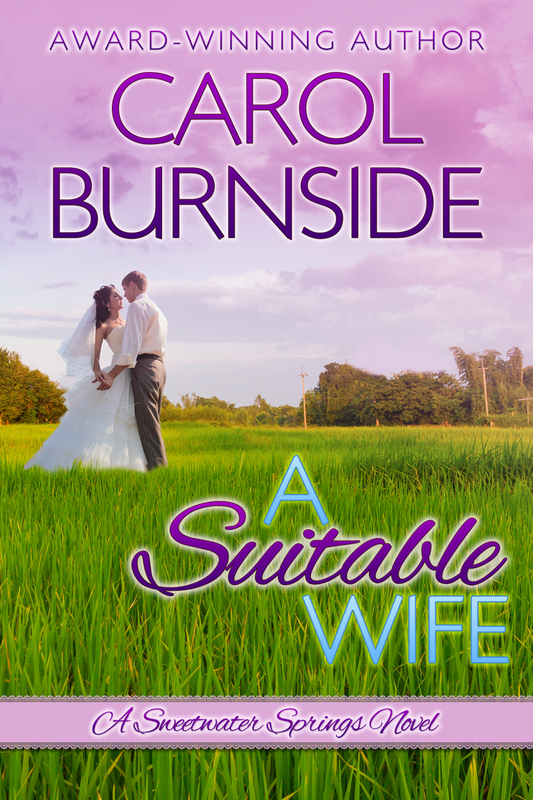 A Suitable Wife sounds like a good choice to kick off the season. Thanks for hosting the giveaway. Fingers crossed to win. You just squeaked in under the midnight deadline (my time), Skeeter Lee. Contest is now closed. Thanks to everyone who participated. If you’d like news about new releases, please sign up for my newsletter. (Top of right column.) Happy reading, all!